Maximum back support provided by temperature and pressure sensitive foam that dissipates pressure while gently molding to your body shape. Easy to adjust. High-density memory foam (viscoelastic) provides maximum support to help relieve back discomfort. Temperature and pressure-sensitive foam molds to the body´s contours. Unlike gels and foams, memory foam contains virtually no pressure points. Originally developed by NASA to relieve pressure on astronauts during liftoff. 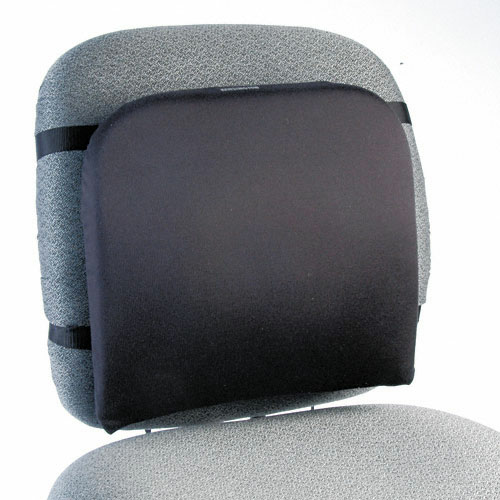 Easy-to-adjust straps fit almost any chair. Removable and washable fabric cover stays cleaner longer.